Nearly one-tenth of all school-aged children in the United States are being coerced into taking mood-altering drugs with side effects that include insomnia, tearfulness, rebound irritability, personality change, nervousness, anorexia, nausea, dizziness, headaches, heart palpitations, and cardiac arrhythmia. These are the children diagnosed with attention deficit disorder (ADD) or attention deficit with hyperactivity disorder (ADHD). Ritalin Is Not the Answer confronts and challenges what has become common practice and teaches parents and educators a healthy, comprehensive behavioral program that really works. An alternative to the epidemic use of medication - without teaching children to use drugs in order to handle their behavioral and emotional problems. Another ground-breaking title in Ritalin inspection and alternatives. Armstrng, a psychologist, challenges current diagnoses of Attention Deficit Disorder and shows how to deal with hyperactivity and short attention spans through practical strategies for making the most of a child's vitality and creativity. He explores in depth the possible cultural links to "hyperactive" behavior, contributing factors such as the child's educational system. Ronald David, a medical director at D.C. General Hospital, says "I intend to make this book required reading for all child care providers on my staff." Sharon Collins, a Pediatrician, says "I am a mother first and a doctor second... The principles in this book help us as parents to empower our children to be successful in life." Recommended by Dr. Andrew Weil, this book has broken ground in the correlation between food sensitivities and ADHD-like symptoms, something that today has gathered increasing attention from the medical community. 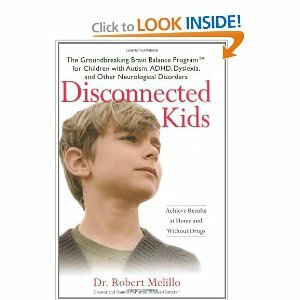 One reader on Amazon commented, "I had both of my sons on ritalin, but after I read this book I took my kids off the drug. Everyone should know there are alternatives to drug therapy. I am now activily trying to find allergens that can be causing my sons to display add symptoms. I have found that sugar in one of my sons causes his writing and thought pattern to worsen. It is a wonderful book." Another said "This book surprised me with how much good information was put in such a small package. It presents extensive why ritalin and similar medications are over-prescribed and several important health issues (like food sensitivities, hypoglycemia) that may cause ADD-like symtoms. It also lists commonly prescribed meds, explains what they are, and potential side effects. Plus, the book is well researched, with specific reference notes documenting its statements. I think that any parent even considering placing a child on medications should take the time to read this very small book, FIRST. Any one in a position to advise parents about this issue, such as teachers or counselors, will find this to be a useful and quick reference to keep on hand." Dr. Stordy, a leading researcher in the fields of ADHD, dyslexia, and dyspraxia ("clumsy child syndrome"), reveals a stunning new treatment based on a simple nutritional supplement: LCP (long chain polyunsaturated fatty acids). The LCP Solution is the first book to describe this new natural treatment and to explain how children (and adults) can incorporate it into their daily lives. Dr. Stordy discovered in a pioneering experiment that dyslexic and dyspraxic children who began taking a dietary supplement consisting of LCP experienced dramatic transformations in the quality of their lives. At the same time, parallel studies conducted at Purdue University came up with similar results with children who had ADHD. After only a few weeks, dyslexic and ADHD children became calmer, more focused, easier to teach. Dr. Stordy documents how this life-changing treatment came about and explains step-by-step how sufferers of each of the three major conditions can use it to change their lives at home, at school, and at work. A review by Chris Mercogliano,, published in the "Journal of Alternative Education, "Breeding elects to focus mainly on today's most popular designer label for children who don't fit the mold, "Attention Deficit Disorder." He emphatically repudiates any and every psychopharmaceutical approach to the behavioral management of children... Breeding knows what he's talking about. So, parents out there, if the "psychiatric police" show up at your door, there is another way." Another reader states "My daughter was 'diagnosed' with 'ADHD,' and the teachers and counselors at her school pressured me to medicate her. John Breeding's work has been an incredible resource for me, helping me to resist that pressure, and seeing her wonderful spirit for the treasure that it is." One of the leading titles in Ritalin alternatives. A recent customer review by Dathan A. Paterno on Amazon reads: "This book records what I have guessed for the past 9 years in my career in the mental health field: that stimulants do not help children in the long run. Yes, a few children may be helped enough by it--often by its placebo effects on the teachers, parents, and children themselves--but most children do not benefit academically at all. "Furthermore, I have seen droves of children who entered the pharmacological factory as 5 or 6 year olds, only to continue in it for 10 plus years, having had so many drugs in their system that the drugs no longer touch them. Whereas they were once little hyperactive "monsters", now they are big hyperactive "monsters". Ritalin and other medications allowed the parents and teachers to skate along happily for years, while totally ignoring the underlying issues. Nothing has been done except to create a culture of children who believe that their brains are screwed up and that drugs are the answer. A recipe for disaster. And I'm seeing it simmering. I applaud Dr. Breggin for his work."